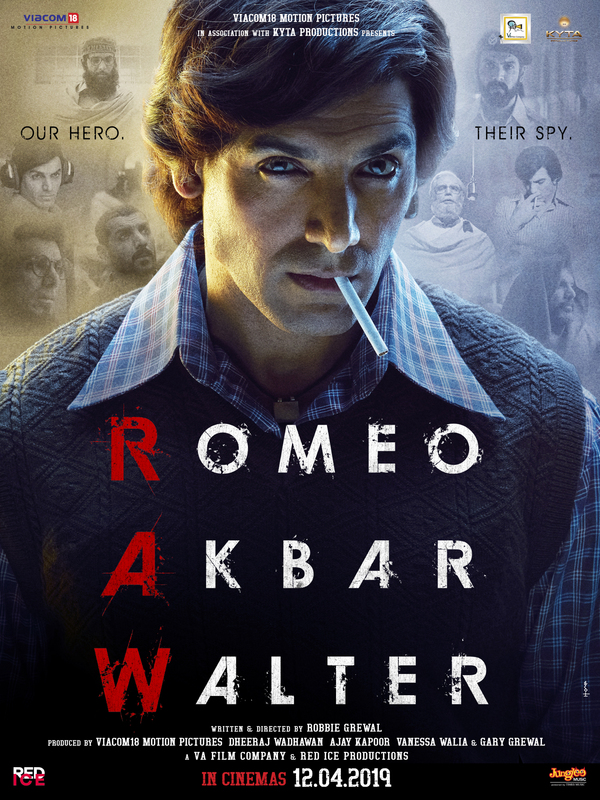 The 3 unique looks of John in Romeo Akbar Walter (RAW) have piqued a lot of interest over the last few days. Coinciding with India’s Republic Day the first teaser for the film was launched today, taking the excitement for the film many notches higher. RAW based on true events bring to alive the story of a true patriot, a forgotten hero, a man of many faces and names who lived for one and only one purpose- to serve his country. Written and Directed by debutante Robbie Grewal, the film also stars Jackie Shroff, Suchitra Krishnamoorthi, Mouni Roy and Sikander Kher. It is produced by Viacom18 Motion Pictures, Dheeraj Wadhwan, Ajay Kapoor, Vanessa Walia, and Gary Grewal and releases on 12th April 2019. As we celebrate the freedom that our great country gives us, RAW reminds us of those who live and die to ensure that, that freedom is not comprised. Jai Hind! It will release Worldwide on 12th April 2019.